For lovers of Downton Abbey. 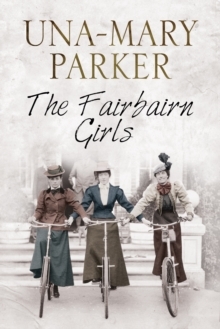 In this dazzling stand-alone sequel to The Fairbairn Girls, a new generation of the Fairbairn family must confront - and overcome - life's difficulties as war looms. 1913: The aristocratic Fairbairns are reunited for Christmas when Lady Rothbury's daughter Diana invites the whole family to her estate. Laura, now a successful dressmaker, is the first to arrive with her daughter, Caroline, followed by Lady Rothbury, her five other daughters and their families. But as the New Year approaches, the family's happy reunion is about to be shattered. Affairs, war and tragedy are all on the horizon for the Fairbairn girls, who must negotiate new heartbreak and hardship. Will Caroline, who shows great talent as a ballet dancer, find her moment to shine? Are separations as irrevocable as they appear? 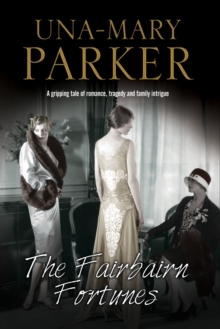 Love, loss, forgiveness and joy thread through the lives of the Fairbairn family - but who will get their happy ending?